This week's Top Ten Tuesday topic hosted by That Artsy Reader Girl is a throwback. So I searched the backlog lists and decided to do a topic I missed the first time around and that is All Time Favorites. These aren't necessarily the best books ever but they're books that I can reread and get just as much enjoyment the tenth time I read them as I did the first time. 2. The Four Story Mistake by Elizabeth Enright - This was one of my absolute favorite books as a child and I read it countless times. When my mother moved a number of years ago this book was discovered in one of the boxes and I promptly scooped it up and took it home and immediately fell back in love with it. 3. The Shell Seekers by Rosamunde Pilcher - I'm not sure I'd really count this as a favorite now but since this is an all time favorites list I couldn't leave it out. I read my original copy so many times that it fell apart and then I got a second copy and read that so many times that IT fell apart. I'm on my third copy now and it's pretty battered but since it's been years since I've reread it it's holding together. 4. The Sleeping Murder by Agatha Christie - This is probably not the best mystery Christie ever wrote but I love everything about it and could reread it endlessly. 5. 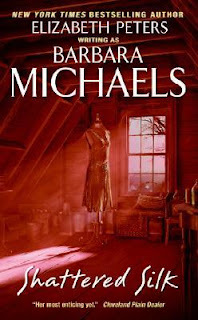 Shattered Silk by Barbara Michaels - I love Michaels' Gothic-y romantic suspense books and this is one of my favorites. 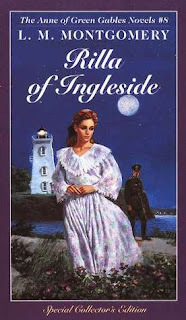 I love all the mentions of gorgeous vintage clothes and the heroine is trying to get her life together which I love. Throw in some spooky goings on and I can't get enough of this one. 6. Let's Pretend This Never Happened by Jenny Lawson - I read this book as soon as it came out and enjoyed it but didn't feel the need to reread it until I got the audio when it was on sale at Audible and I've probably listened to it ten times since I got it. 7. 84 Charing Cross Road by Helene Hanff - This short little book of letters between an American writer and a bookstore in London. I love this book and it makes me want to go out buy lots of gorgeous books. 8. Parker Pyne Investigates by Agatha Christie - I love Christie's short stories and this collection involving a PI who specializes in problems other than crimes is one of my favorites. 9. Jewels of the Sun by Nora Roberts - Heroine looking to figure out what makes her happy, a gorgeous Irish setting, plus touches of magic and there's no way this one doesn't go on this list! 10. Devil in Winter by Lisa Kleypas - This is probably the only redeemed villain romance I've ever read that I believed and I adore their relationship which is as much a shock to everyone who knows them as it is to them. What are some of your all time favorites? My all time favourites include Harry Potter, Stephen King's It and The Stand, some Richard Laymon horrors like Dark Mountain, One Rainy Night and After Midnight, GRRM's A Storm of Swords, Michael Stephen Fuchs Arisen, ZA Recht's The Morningstar trilogy and Nicholas Sansbury Smith's Extinction Cycle. I love Let's Pretend This Never Happened! The Shell Seekers and 84 Charing Cross Road are wonderful! I haven't heard of any of these except Let's Pretend-- I read the beginning of that memoir a year or so ago and it was /hilarious/. Some great choices especially the Agatha Christies and 84 Charing Cross Road. Great list, I must get on to reading Rilla as I stopped before this book. And I have loved The Shell Seekers and would like a reread. I think the real test of a book is wanting to reread and then finding I enjoy it all over again. Great selection. I haven't read any of these. I always loved Jewels of the Sun, too! I haven't read it in years and years, but I have reread it many times. I should totally reread it. There is a puppy in that one, too, isn't there? And of course, Devil in Winter! Oh, I loved The Shell Seekers...and I also have the movie based on the book, with Angela Lansbury starring. Thanks for sharing, and for visiting my blog. I have only read the Lisa Kleypas book from your list. I think my favorite Kleypas book is Sugar Daddy. 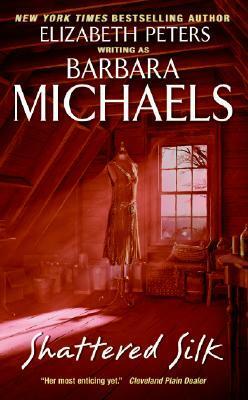 I also love Ilona Andrews, Patricia Briggs, Diana Gabaldon and could read and re-read their books over and over. I'd love to check out L.M. Montgomery other works. I've only read Anne of Green Gables. Great picks! Fantastic list. I struggle putting together yearly top tens. I get overwhelmed thinking about all time favs. I guess I have reread To Kill A Mockingbird and Gone with the Wind and Anne of Green Gables. I really liked the Kleypas book - her historical romances are among my favorites of the genre. 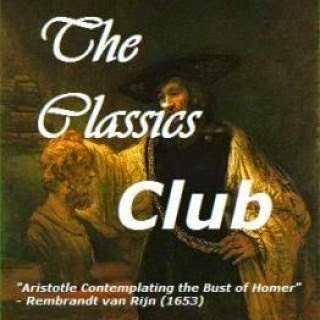 One of my favorite novels is Trinity by Leon Uris. Read it about 20 years ago and if I'd given birth to another son after reading it I'd have named him Conor - after the main character Conor Larkin. I haven't read ANY of these. Crazy. Some of these are definitely going on my TBR list. I'm for sure going to see if I can get my hands on a copy of THE FOUR STORY MISTAKE! I'm almost embarrassed to admit that I've never read 84 Charing Cross Road. I don't know anyone who's read it who hasn't thoroughly enjoyed it. Probably time to pick it up.